"Absolutely the best CRM that I have ever used!" poliSCHOOL is vocational school management software designed to manage everything required to operate a trade school. 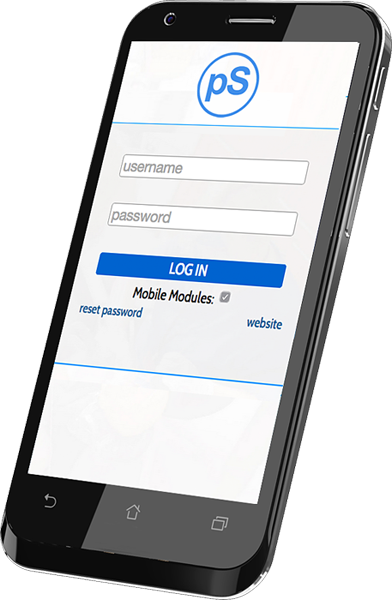 It combines school admissions CRM software that’s specifically designed for enrolling vocational school students with an online student information system so you can securely enter grades, attendance, tuition payments, documents, and countless additional functions. As an added benefit, poliSCHOOL marketing service packages include discounted online marketing management, design, and hosting services by poliARC. The end result: less cost and a lot more productivity. 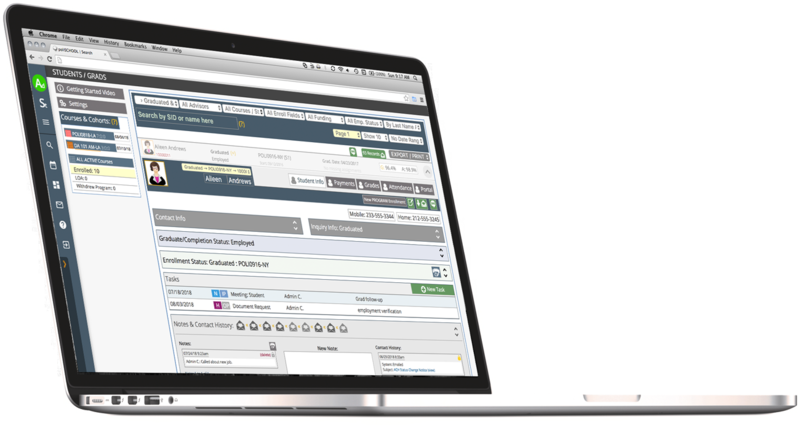 poliSCHOOL is cloud-based school management software and support specifically designed from the ground up to be used by vocational and career schools. poliSCHOOL gives you more included student management functions than any other service. You get everything, including mobile modules for a low, flat rate. Integrated – not modular – design: it’s a key factor that determines how much more efficiently your school’s staff use the SIS and enrollment CRM functions. SAVE MONEY: poliSCHOOL clients can package poliARC services at a deep discount: online marketing management, web hosting, web and print design, and custom web app development. All functions. Best support. Zero surprises. NO RECORD MINIMUM / MAXIMUM. poliSCHOOL does not charge based on the number of students or users — this can save you hundreds of dollars every month. Custom checklists & forms for every part of the student life cycle. Certificates and student ID card printing. Unlimited custom exports & reports. All functions included. Front-end first. Customize, Personalize. There’s no such thing as poliSCHOOL “LITE”. Unlike the other systems, poliSCHOOL clients get ALL functions at a flat monthly rate with no catches or up charges as you add staff and students. Moreover, as new features are added you automatically get them at no additional cost. When you combine poliSCHOOL school management software with other services offered by poliARC, you will spend less money each month while getting more services and better functionality. Front-end first means that the user interface was designed before the database functions. When you build in that direction the functions integrate, rather than get separated in different module layouts. The result is that most functions are literally one click away. It’s faster and more friendly. 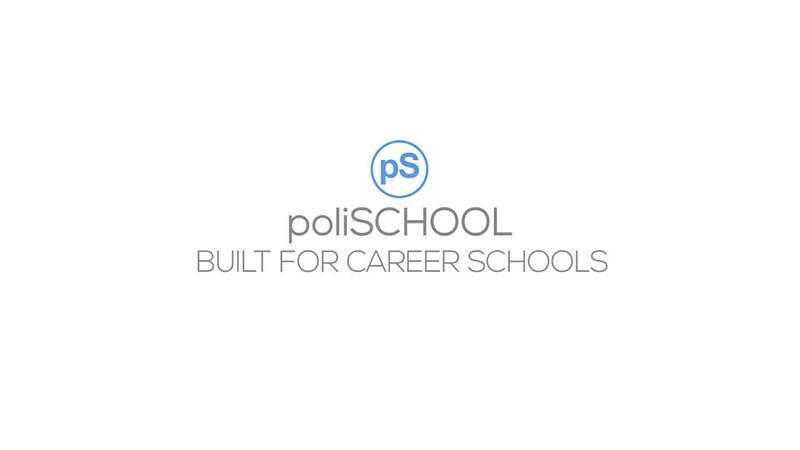 pS clients have direct access to the person who created poliSCHOOL: Paul. If you have a problem and need help, call Paul. If you want to recommend a new feature, call Paul. Need more help than that? No problem: as part of the monthly service, we can arrange Zoom screen sharing sessions for you and your staff. If you want a custom module added to your system, we can do that too. poliARC isn’t just a vendor, poliARC is a partner. All you need is a device with an internet connection and a full web browser. Attendance: enter and track attendance for class, lab, and individual / externship clock hours. Print attendance sheets and entire books. Student photos included on attendance sheets, plus system-wide low attendance and consecutive absences warnings and email alerts. Grades & Assessments: Real-time cumulative calculations. Custom grade types and grade weights for every course and program. Custom transcripts and grade reports. Low grade and missing grade warnings and notices and alerts. Auto-Fill Email, PDF, and MS Word Doc Templates: pS uses short codes in dynamic templates personalize key school documents: enrollment agreement, grade and attendance standing, account statement, etc. This means for an entire course you can email or print grade reports, account statements, enrollment agreements, marketing emails – anything you need all with a couple clicks. pS dramatically speeds up communication and document processing. Admissions CRM for Enrolling Students: Inquiry to enrolled student all from the Admissions CRM list. Send emails, print letters, update status, add notes, upload enrollment docs, and register students all within one window. 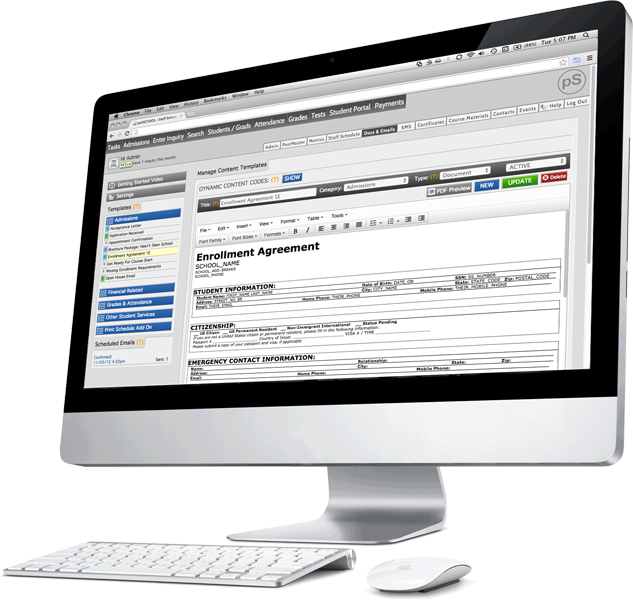 Instantly create admissions lists by start date, ownership, status, and more. Scheduling: calendar-based schedule for classes, externships, staff and teachers. Print monthly schedules and weekly time cards / externship sign-off forms. Unlimited Users and Student Records: the monthly rate does not increase as you add more student records. No cost surprises. Student ID Cards: built-in designs that you can modify to fit your school’s branding. With a couple clicks print ID cards for an entire class. Student Invoices and Payments: covers tuition, admin fees, and materials. Includes reports, revenue projections, instant unearned tuition, automatic invoice reminder emails, and real-time refund calculations. Students can view and print invoices in the student portal. Staff can print deposits, account statements, student ledgers, and export account ledgers by campus and program. Student Assignment Upload: Allow students to turn in assignments online. Online Multiple Choice Tests: TMC tests with image and PDF attachments. Results are linked to assignments and automatically insert the grade as well as update the GPA. Online Skills Tests: Hands-on skills tests that instructors give students one-on-one to demonstrate proficiency. Like MC tests, the results are stored separately, and grade automatically inserted into student records. On Demand Custom Export Files: All you have to do is send us a copy of the report and we will create it as a custom export file: state and federal reporting, enrollment reports, graduate and job placement reports, demographic reporting… if you enter the data into the system, we can create the custom export files that will streamline your reporting. Online Payments: students can pay their invoices in the student portal with a credit card or ACH transfer. Students can also opt to active automatic payments with a credit card or ACH. SMS Text Messages: connecting with your Twilio account, poliSCHOOL sends and receives text messages and tracks SMS conversations. One-to-one AND bulk text messaging. Integrated IMAP Email: Send and receive your emails while logged into poliSCHOOL. If the email address matches a lead or student record, pS automatically adds it to their contact history. Certificate / Diploma Design & Issuing: Drag and drop designer with user-friendly interface that quickly issues uniquely serial numbered awards to graduates. Marketing & Metrics Report: Easy to understand and drill down. Saves hours of compiling marketing data from different sources. Electronic Document Storage: Upload documents for enrollment, graduate, internship/externship, and employment records. Daily online back-ups, plus weekly off-site back-ups included with service. Task Manager: Calendar and list-based Task Manager with email and browser pop-up notifications. Project Manager with sub-tasking, and fully automated Task Series Manager to create “drip campaign” style tasks for admissions reps. Staff can also create automatic alerts for students that are emailed and appear for them in the student portal. Online Student / Grad Surveys: Everything you need to survey your students and graduates via the student portal: orientation surveys, job surveys, exit interviews, etc. Results are stored and automatically linked as a student or graduate record. Question types include teacher evaluations, general rankings, open-ended, multiple choice, and more. poliSCHOOL also supports anonymous and manager-only view survey options. HTML Emails: send to to individuals as well as bulk emails to any list of leads or students you can create using poliSCHOOL searching and sorting filters. All emails are automatically archived in the Notes & Contact history for every person. Automated Processes: Consecutive absence warning, below passing warnings, payment reminders, overdue invoice notices, auto-late fees, student & staff task reminders. Course Materials: Upload and securely store all your course documents for instructors to access and share. Student Resources: Provide documents and videos in the student portal. Designate availability by program, course, and course progression (week number). Contacts Database: for employers, vendors, etc. Links to employment and internship functions for easier tracking. poliSCHOOL clients are given discounts on all poliARC services. poliSCHOOL monthly service plans 1, 2, and 4 include Pay Per Click marketing management. poliARC will target prospective students and manage your PPC campaigns on Google, Bing, Facebook and Instagram. This service includes all required design for ads click reports, and assistance creating landing pages on your website. If you need either a custom module to add to your poliSCHOOL installation, or a completely separate web application, poliARC can create it for you at a discounted rate. Web design and maintenance are built-in to poliSCHOOL Service Plan 3. poliARC will manage your website and landing pages, as well as design and send your email campaigns. poliARC can design all the print materials for your school: course catalog, brochures, rack cards, signs and banners, shirts, hats and bags. The more you do with poliARC, the more you’ll save. Paul started his career as an audio engineer recording and editing digital audio, which later lead to rhythm-based video editing. If you have video content that you need edited into content for courses, webmercials, or TV commercials, poliARC can do that for you as well.